Raymond T. Baker has served as President of Gold Crown Management Company, a real estate asset management company from 1978 to present. He is the founder and has served as Co-Director of the Gold Crown Foundation since 1986. He also is a member of the Board of Directors of Alpine Banks of Colorado and Land Title Guarantee Company. Mr. Baker is currently serving as Chairman of the Board of the Denver Metropolitan Major League Baseball Stadium District and Chairman of the Board of the Metropolitan Football Stadium District (Denver). From 2004 until 2007, he served as a director of Central Parking Corporation. He has over thirty-five years experience in the real estate and banking industries. 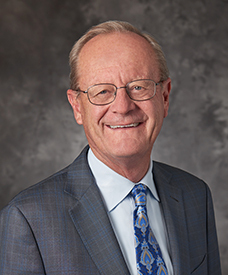 Mr. Baker became a member of the Company's Board of Directors in 2012. His experience and knowledge of the real estate and banking industries directly complement and support the Company's real estate activities and the financing of those activities.